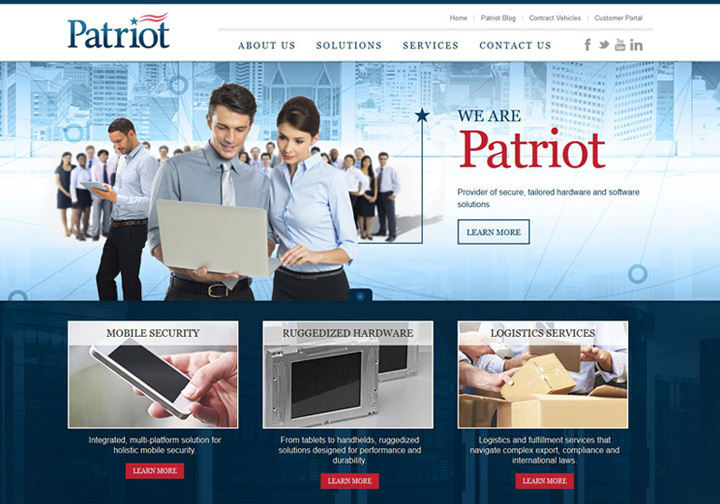 Patriot Technologies - Wood Street, Inc.
Wood Street has been working for Patriot Technologies for years providing website maintenance support. 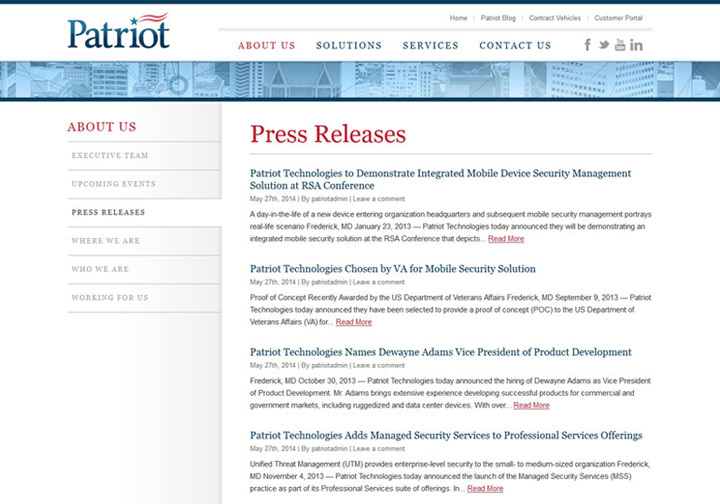 But, now was the time for a major site overhaul. 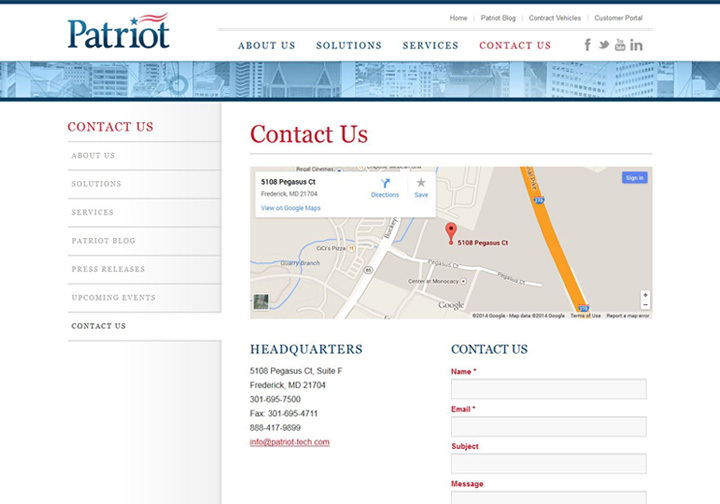 The new site needed a fresh look, better content strategy, and a content management system for easier maintenance. 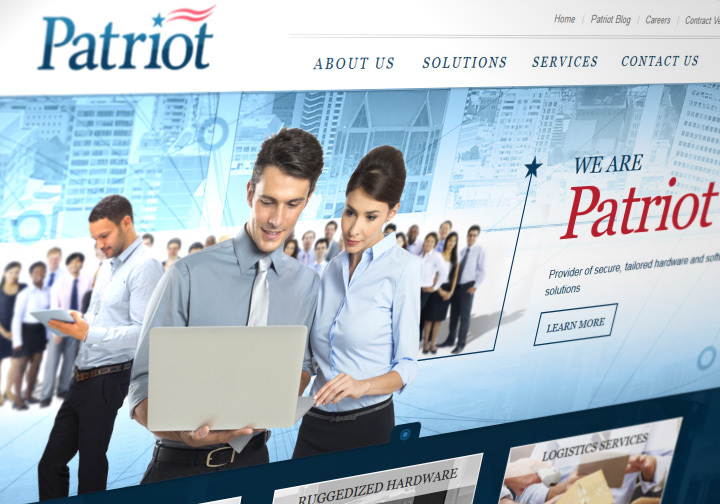 Working with the marketing director at Patriot and the SEO wunderkids at Web Mechanix, Wood Street designed a completely new website look and feel with a blog section, and responsive templates. 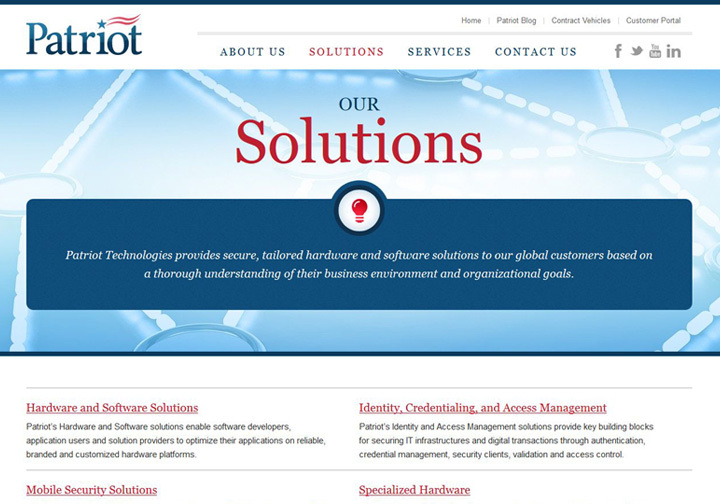 The designs were then integrated as a custom WordPress theme. The site has been enhanced with Advanced Custom Fields for more control of content throughout the site maintaining a clean, fast loading website with high design at every turn.